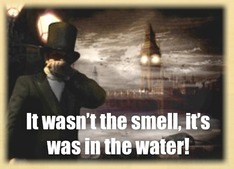 The Great Stink of 1858 or The Big Stink was a time in the summer of 1858 during which the smell of untreated sewage almost overwhelmed people in central London and all those who went near the Thames - including the occupants of Parliament. This, together with the frequent occurrence of cholera, gave impetus to legislation enabling the metropolitan board to begin work on sewers and street improvements. By 1866 most of London was connected to a sewer network devised by Chief Engineer Joseph Bazalgette. London was suffering from recurring epidemics of cholera - it was thought at the time to be caused by foul air - it was thought Cholera was spread by air-borne bugs. Construction of the London Sewerage System began in 1859 and went on for six years until completion in 1865. 318 million bricks were used for job, as well as 670,000 meters squared of mortar and concrete. The main sewers that made up this system spanned an incredible 450 miles, not to mention the six interceptory sewers which ad a total length of 100 miles. Although the new sewerage system was in operation, and water supplies gradually improved, it did not prevent a later epidemic during the 1860s, especially in east London. 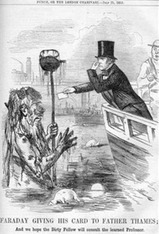 However, a forensic investigation by Captain Tyler of the Railway Inspectorate in 1867 showed that the polluted river Lea was entering reservoirs of the East London Water Company, and so caused the epidemic. The water-borne explanation had now been proved beyond doubt, and eliminating the source of pollution, had naturally averted (as an unintended consequence) this last epidemic of cholera in the capital. The point being, the Great Stink led to the London Sewage System, which was a good thing, BUT built for completely the wrong purpose. The system was designed to remove the "smell"... but by removing the smell with the elaborate network of tunnels in place ALSO separated water from sewage. It wasn't even realised until many years after and only due to an additional outbreak of cholera. 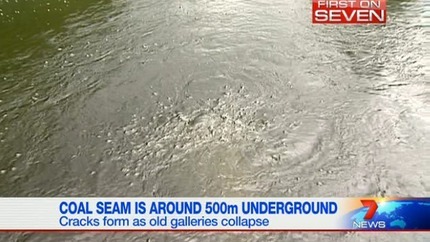 It was traced to a leak where sewage met drinking water, which localised the contaminantion and science made a leap. Cholera was not air-borne, but water-borne. The intention of this very expensive sewer network scheme was to resolve the epidemic of cholera by eliminating the stench as the identified cause. As an unintended consequence the drinking water supply ceased to be contaminated - when the unidentified real cause stopped saturating into the groundwater - and this resolved the cholera epidemic. As an unintended consequense by naming CO2 as pollution, we have opened a can of worms, which is a good thing, and now we alert and identify different pollutions that amounts to many small changes. CO2 is the focus but is also the messanger, the herald that imprints "pollution" in our minds - and we interpret by going about cleaning up all pollutions... and it's spilling over into all walks of life and awareness on the planet. And that may be the significant benefit. Cleaning up pollution of all types for a new cleaner world... well, one can dream. By targeting the combustion of fossil fuels, this actually targets the heart of the combustion engine. Emissions are affected by the process too, the manner burning takes place determines the types of gases emitted. The upside is, by focussing on CO2 as pollution, we are actually addressing all pollutions and that may be the significant benefit. We build a sewerage network to remove the smell that "we think" causes cholera - the sewerage network separates water and we learn something science didn't know at the time - thereafter we change, we make a giant leap. 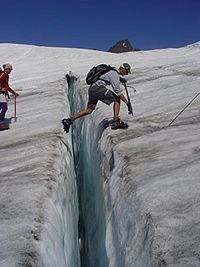 Speaking of leaps, there comes a time when we have to jump the crevasse. Pollution, population explosion, deforestation, soil degredation, animal habitat... there are many, too many to cross alone although fracking is a world-wide phenomena and is happening right NOW under our feet. COAL SEAM GAS "fracking" shares some alarming similarities to the phenomena of Unintended Consequence although the outcome may not be so pleasant. In an effort to reduce CO2 emissions, to reduce climate change, gas is valued cleaner cheaper and more in demand than coal. A technique known as "fracking" enables the extraction of coal gas by fracturing the rock and coal to release the gas. Unfortunately the gas is found under our feet, in cities, prime farm land and waterways. In a grab for the gas, safety have been by-passed. Ironically if we cracked London's underground sewerage network it would mix with the water supply and give everyone cholera.. so what is fracking doing by releasing the gases into our waterways, farms and cities? 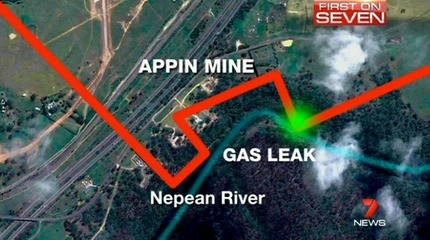 As in the exampled Unintended Consequence, it would seem prudent to make sure everything is absolutely safe before proceeding, unfortunately it would appear safety takes a back row to contractual obligations obtained without transparency... and in the light of recent discoveries, methane gas bubbling up in the Nepean River NSW Australia, all activities be halted for public safety. do we stand a chance to hold back the leaks? *** Wake Up World Viewer Special - http://aquaponics.wakeup-world.com. Fracking is a commonly accepted term for hydro-fracturing, a process where water, sand and millions of gallons of toxic chemicals are injected into the earth at high pressure. The aim of hydro-fracturing is to fracture rock formations deep underground in the hopes of liberating natural gas that would be otherwise inaccessible, and to bring it to the surface. Though the processes of fracking, our underground water supplies (artesian wells / aquifers) are being poisoned. This is occurring in every continent on earth for the purpose of extracting more fossil fuels. Large companies are moving in on people property (as we only own the top small layer of our properties) and drilling for natural gas via fracking, as you will see from the below video's, this process is destroying their water local supplies.